Gallstones, which are medically known as Cholelithiasis; are the most common of all gallbladder problems. A range of conditions and symptoms may be experienced. Cholangitis: When gallstones pass from the gallbladder to bile ducts they can cause an obstruction; leading to severe pain, nausea and vomiting. This obstruction can also lead to infection, which leads to the formation of pus causing fever and chills. Cholecystitis: When the gallstone remains in the bile for a long time, bile can build up and further symptoms may include jaundice. If a gallstone obstructs the gallbladder’s outlet, the patients can experience severe pain in the upper abdomen. Pancreatitis: When the pancreatic duct is obstructed by stones, the pancreas becomes inflamed. Gallstone Ileaus: When a large gallstone enters the small intestine, an intestinal obstruction is caused. Biliary Colic: When gallstones crash in the cystic duct during gallbladder contraction, gall bladder tension increases, causing pain. Diabetes: Gallstones have found to be one of the major causes of adult onset diabetes. When a duct is blocked by gallstones, the bile follows the route through the pancreas to get into the small intestine. This irritates the pancreas and can stimulate insulin production, leading to hypoglycemia or low blood sugar. Alternatively, insulin may not be produced when it is needed and causing hyperglycemia. Surgical removal of gallstones is known as cholecystectomy. This involves the removal of the gallbladder to stop gallstones from recurring. The human body can function without a gallbladder. After surgery, bile flows directly from the liver to the small intestine through a common bile duct. The body no longer stores bile between meals due to the absence of the gallbladder. This usually has no effect on digestion except in some cases where it may cause diarrhea. There are two types of surgeries for removing gallstones, namely laparoscopic surgery and open gallbladder surgery. Consultant Surgeon Mr Marcus Reddy offers gallbladder and gallstone surgery for private patients, performing the procedure laparoscopically (keyhole surgery) as a less invasive procedure than open surgery. This generally means a faster recovery time with less scarring. 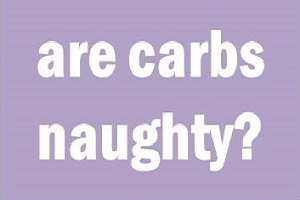 Carbohydrate is good for you as long as you take the right kind in the right quantity. Choose carbs rich in whole grains and fibre help fill up your stomach, reducing hunger pangs and temptation to snack later on.